“Space – the final frontier.” Well, any episode that begins with the Doctor doing the Star Trek opening has my attention. That quote sums up Oxygen well, though not because the episode is anything like Trek; in fact, quite the opposite. Perhaps Captain Kirk’s full, optimistic monologue would have been suitable three episodes ago, but here the Doctor goes on to lower the mood, talking about how space has a tendency to kill you. So this is full-on space horror, despite the Doctor Who cheekiness. And ‘The Walking Dead in space’ is exactly that. 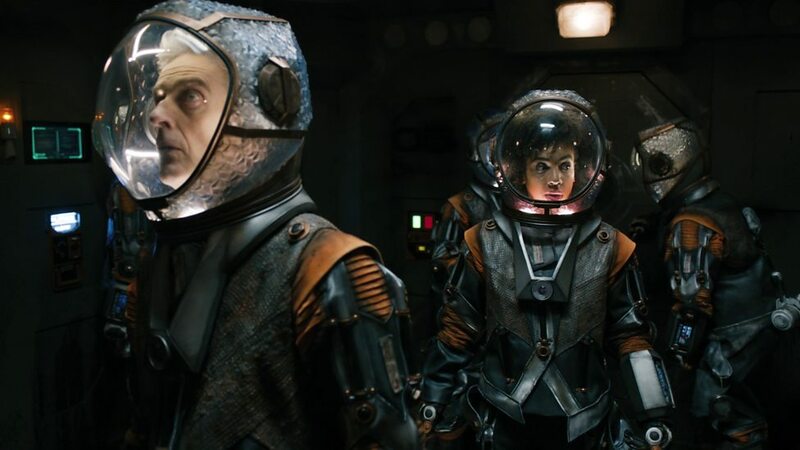 Spacesuits that kill their occupants and stomp around finishing off any survivors is the kind of nasty and genre-mashing idea that would be good enough for a big sci-fi horror movie, but that can be made very effectively on a BBC budget. The technological and body horror elements fit together very well to create the chilling image of the survivors’ dead friends and lovers being inhumanly dragged around by their own suits; it’s an image that makes you wonder if this is really suitable for a Saturday teatime and then remember that, if you're thinking that, the episode must be doing its job. This effect is enhanced by how well the monsters suit (eyyy) the world of Oxygen. 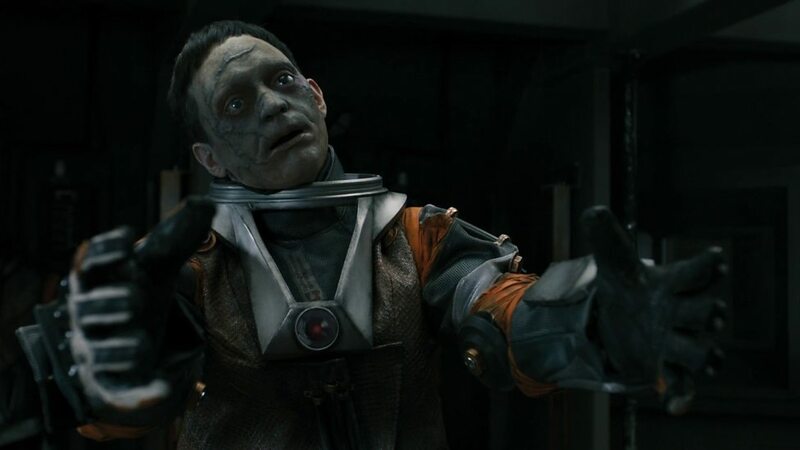 I much prefer the gritty, worn-down type of space seen in episodes like this to the CBBC-esque fairytale space we got in Smile (and if you agree with me on that, I recommend you check out The Expanse on Netflix). The details given about this station hint at a wider world – the need for oxygen credits, the ‘mythical’ union, the fact that society’s overcome one form of racism but found another – and make the world believable and tangible enough for us to care about the people who inhabit it. Indeed, the core of the episode is those people and their need first for survival and then for revenge, making this the episode least focused on the Doctor/Bill relationship of the series so far. Yet that relationship is developed a lot anyway – another careful balancing act by Mathieson. They’re both put through the ringer, with Bill’s exposure to space being a very tensely directed sequence, in which it really feels like she could be killed, and the Doctor putting himself at great risk to save her. If there’s any criticism of this, it’s that more could have been done to explore Bill’s feelings about having come close to death not once, but twice, though the end of the episode is perhaps right to put the emphasis on its cliffhanger. I’m intrigued to see where this blindness storyline goes... will it really last all the way up to the regeneration, or will there be some magic elixir of sight found in a few episodes time? Either way, it should mix up the dynamic a bit. 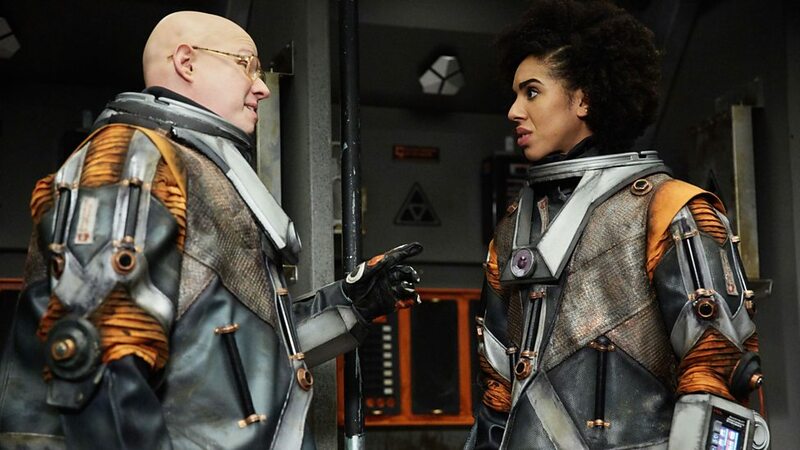 Speaking of mixing up the dynamic, Nardole gets a lot to do in this one. He’s clearly the comic relief, but Mathieson’s script and Matt Lucas’s performance are both careful not to overplay it. I know a lot of people are finding him annoying, which is fair enough, but for what it’s worth, I’m enjoying having him around. I do wonder how much of the negativity towards Nardole is due to the cultural baggage Lucas carries as a star of very crude sketch shows – look past that, and he is a genuinely good actor. And after all, some comic relief is needed – this is Doctor Who. Even if this episode is one that feels like a proper space horror movie rather than a toned down, BBC budget ‘take’ on the genre. I’m glad they haven’t done this before, because they’ve done it brilliantly now.